Some people play it in greeny grounds. Some play it in municipal dumps*. Some people play with real wickets. 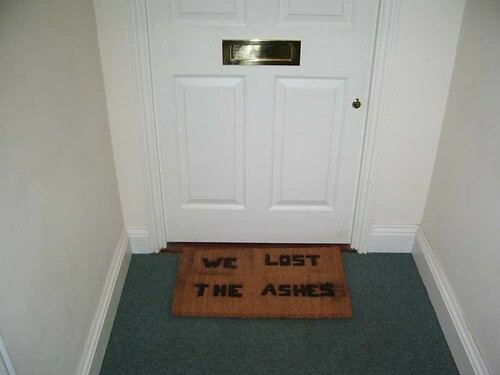 Some people play with brick-walla wickets. Some people play in proper uniforms. Some people play in torn trousers. Some people have chai breaks. Some people have tea breaks. Some people win. Some people lose. 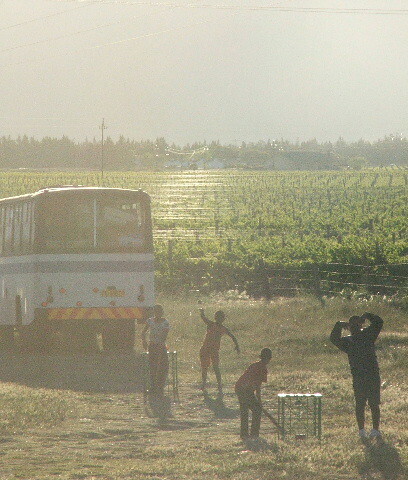 They all love cricket. Originally uploaded by Flickr user Ben Melbourne. This is brilliant! 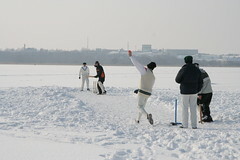 Bunch of lads playing cricket on ice, in the snow, in the cold, in Estonia. I’m going to have to put my journalist’s hat on and speak to them. Is there ‘owt better than beach cricket? 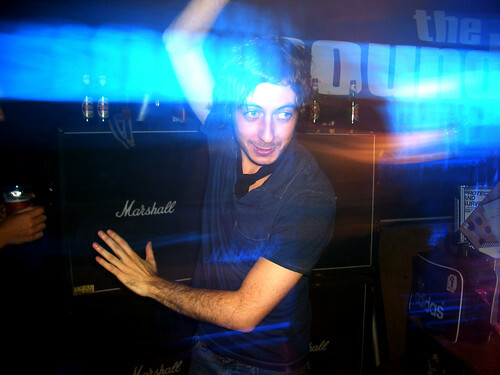 Stavros reminded me of these photos, which I forgot to post last night. They’re just a bunch of people playing cricket in the street, but it’s significant that they’re (almost certainly) British and in Britain. I’ve mentioned and posted photos of Indian street cricket, which is altogether more common…but in Britain? Not so common. It’s Flamenco Cricket. It’s new, it’s crazy and it’s coming to a club near you it’s more than a little odd. See? Winning the Ashes does strange things to everyone. From Flickr user reggio. 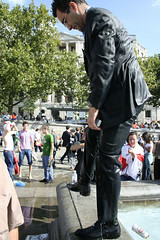 Funny photo of a suit at the Trafalgar Square celebrations. Was he pushed? !